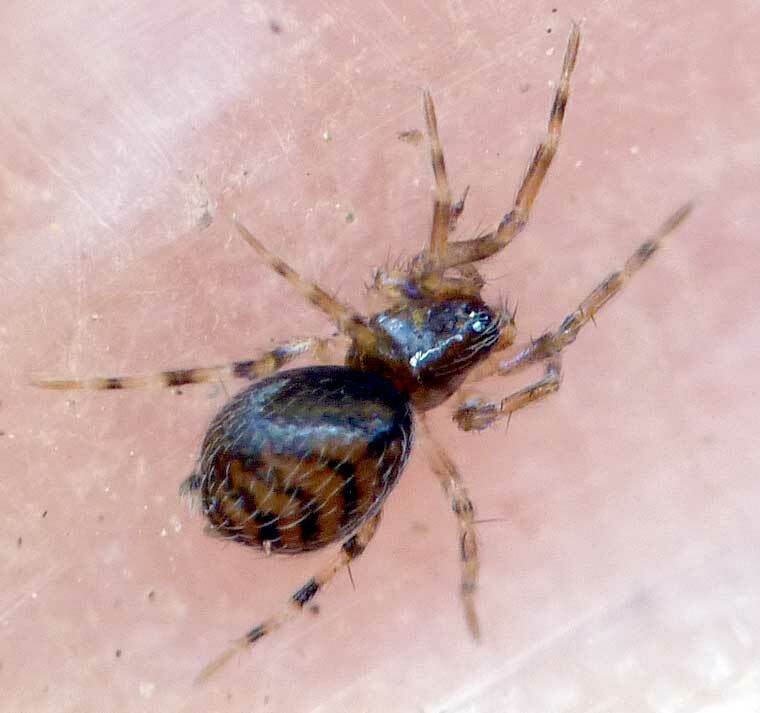 A small Hahniid, less than 1mm, has a mostly translucent body with a pattern of wavy dark lines. The abdomen is somewhat pea- to pear-shaped narrowing slightly towards the six spinnerets. 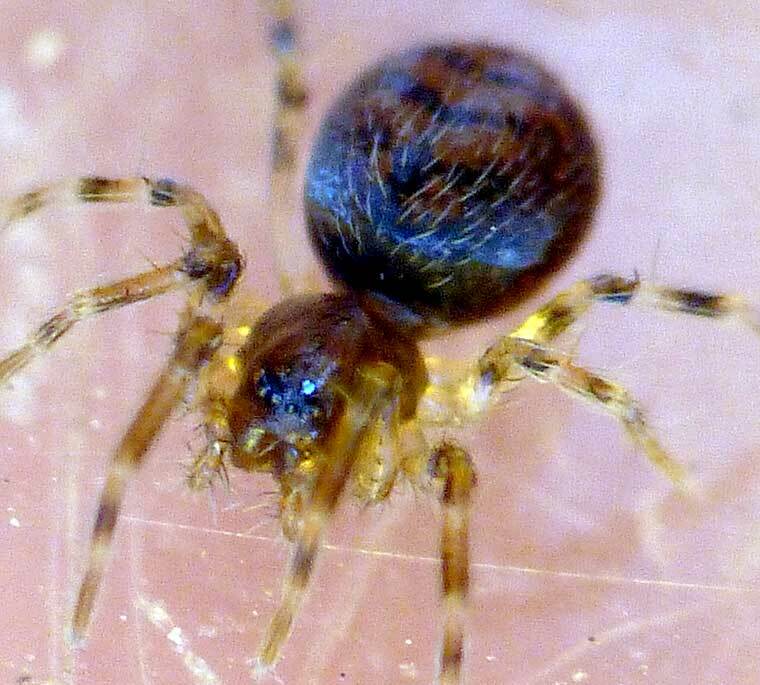 The abdomen is about 1.5 times as long as the cephalothorax. 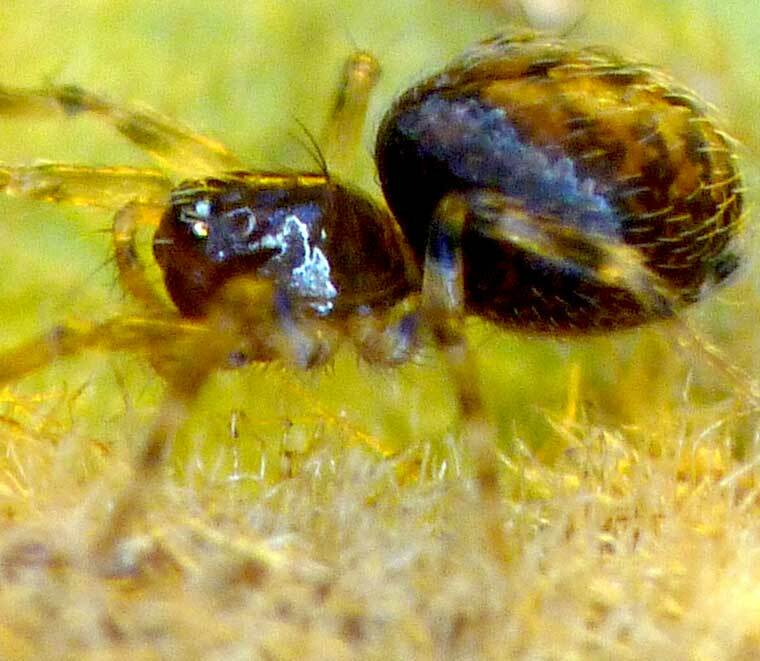 The cephalothorax is relatively dark and not unlike some Theridiids such as Euryopis. The front of the carapace has some long, prominent, forward-pointing hairs. The legs are thin, clear and banded with dark brown. 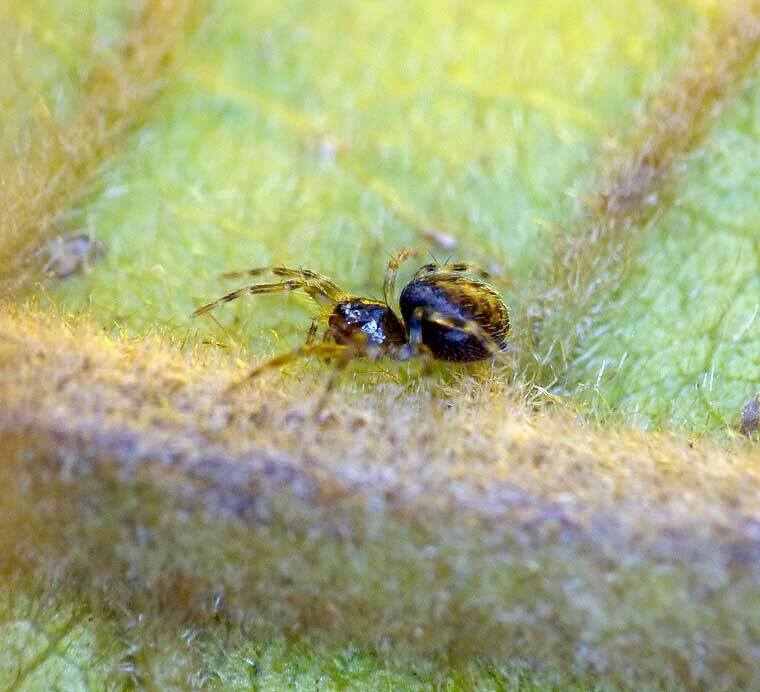 This spider builds a small, fragile sheet web close to the ground in shrubs or on leaf litter, mostly unnoticed unless misted with dew.